This article also appears on JancisRobinson.com and Livex – the fine wine trading exchange. 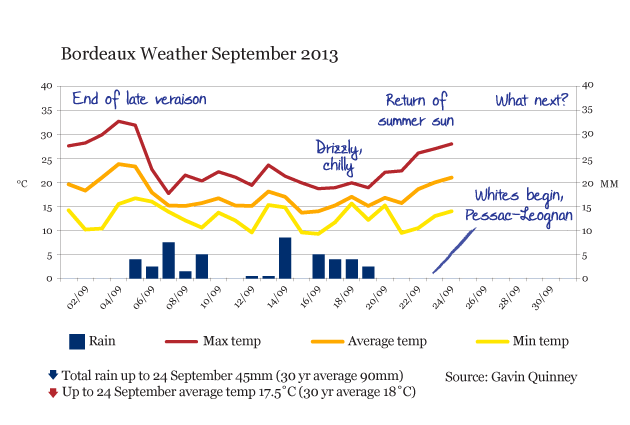 As the Bordeaux harvest begins, here is a detailed report on the weather so far this year and its impact on the vines. 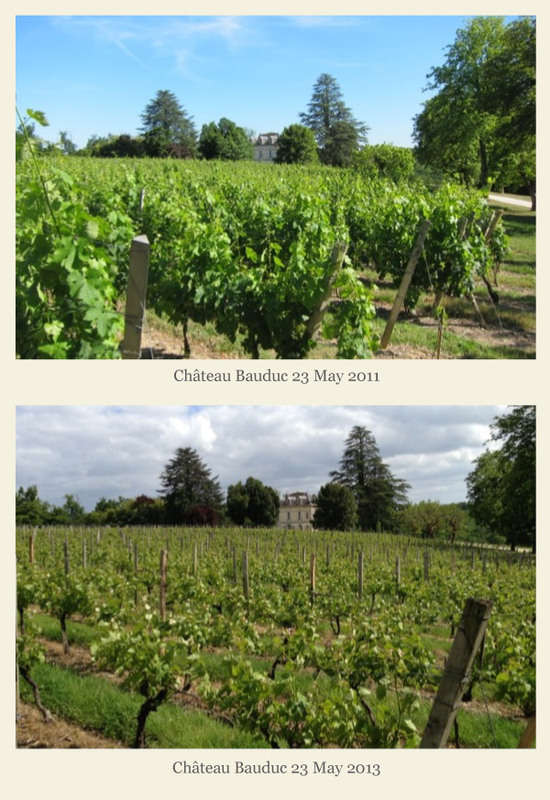 It’s fair to say that my earlier updates on the 2013 growing season in Bordeaux have been less than enthusiastic. 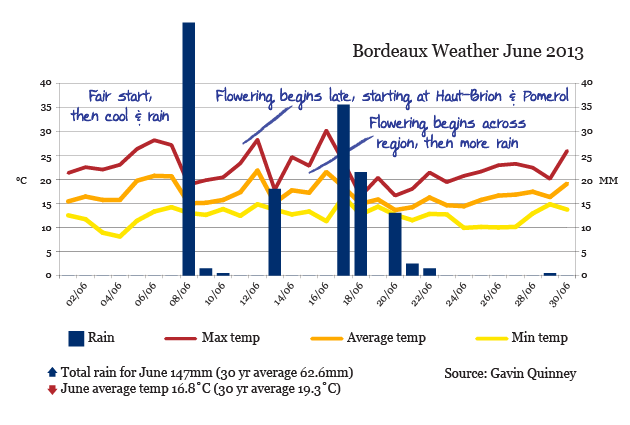 Running late in May, The flowering and Soggy Vinexpo, sodden vines in June, Lafite’s weeping willows in July and then, in August, the Hail in Bordeaux series of posts hardly paint a rosy picture. Yet even at this stage at the end of September, this roller coaster vintage is still too early to call. 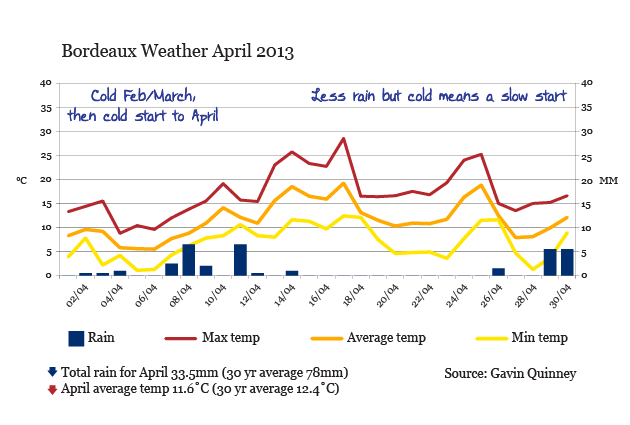 The weather in October for the red harvest (Bordeaux is 88% red) will be crucial. Even before then, storms are forecast for this weekend, after a week of sunshine. 2. 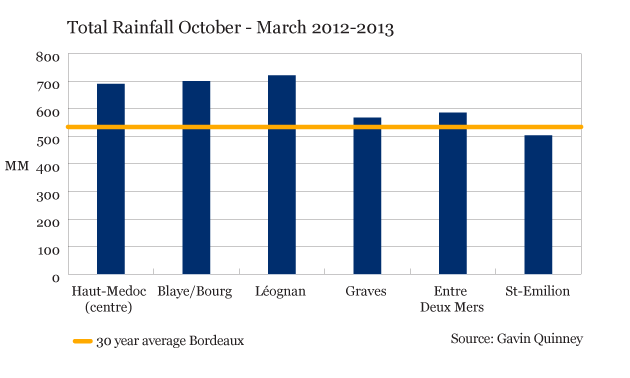 2013 will be a small crop in Bordeaux overall. 3. A cold first half of the year held up growth in the vineyard. 4. 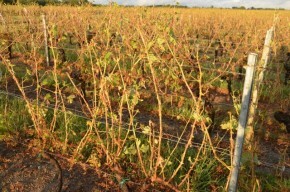 An unusually cold, wet May and downpours in June led to late, uneven flowering. 5. July was hot and dry, August sunny, September up and down. October is key. 6. 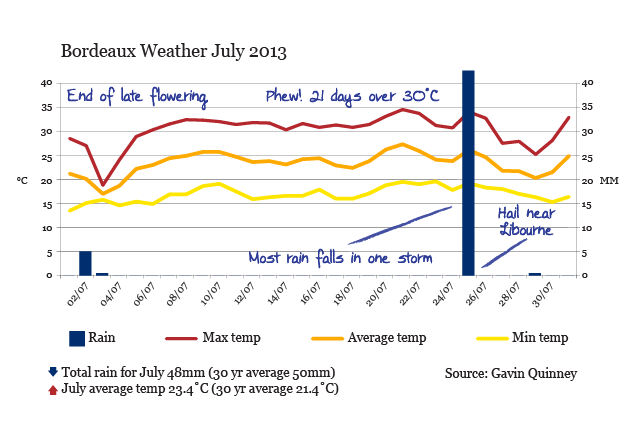 An August hailstorm hit more than 10,000 hectares – about 10% of the Bordeaux vineyard – but none of the top châteaux. 7. 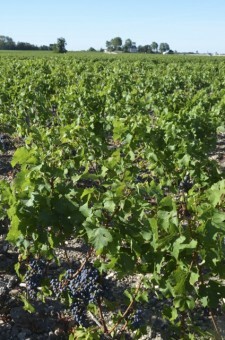 Quality and yields will be extremely variable – the contrast is evident in the vineyards. 8. The dry white harvest has started well, while prospects for sweet whites are ‘promising’. 9. The red harvest is likely to be a race against time (and rot) as the autumn weather draws in. 10. The advantage lies with those who have the resources and equipment to be highly selective. It’s late, even by 2012 standards. 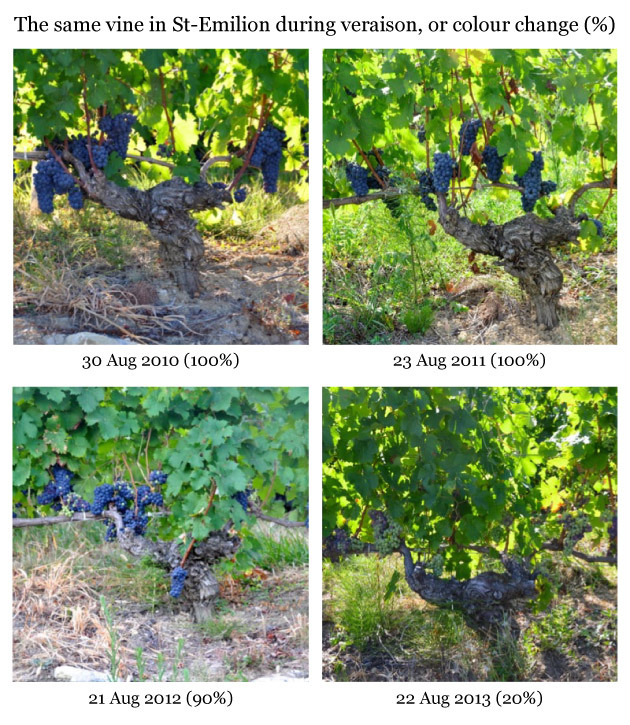 I happened to take these pictures of the same vine on the slope below Ch Tertre Roteboeuf at the end of August in recent vintages, which show colour change variation. We began with une belle sortie de grappes – plenty of potential bunches. 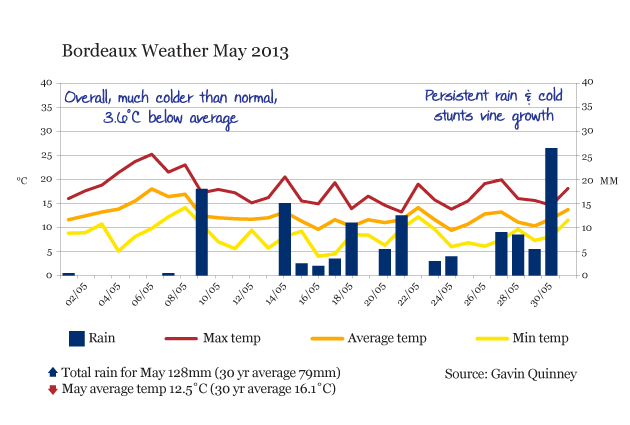 But cold and wet weather in May and rain at just the wrong time in June contributed to poor fruit-set on the Merlot across the region. Some estates have fared better than others – in fact, some vines performed much better than their immediate neighbours. 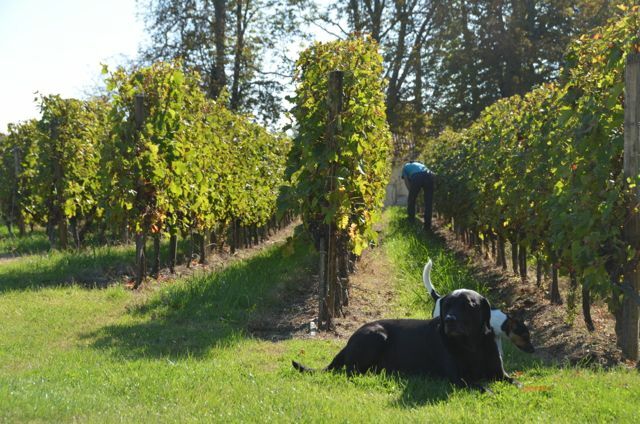 Given that 65% of the red vineyards in Bordeaux are planted with Merlot, coulure (when grapes don’t form) and millerandage (‘hen and chick’) have had a significant impact on the crop. 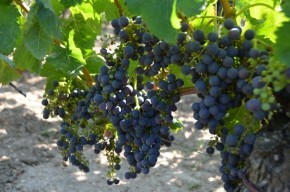 Cabernet Sauvignon, which makes up 23%, is variable while Cabernet Franc – just 10% – flowered most successfully. The Petit Verdot looks good but late in the Medoc, while Malbec is patchy on the Right Bank. The whites, and especially Sémillon, look in better shape. I haven’t seen such poor flowering, in general, since the summer of 2002. To put volumes in perspective, Bordeaux made an average of 5.57 million hectolitres per year from 2006-2010, and 5.25 million hl in 2012. If yields are down by 24% on 2012 at 4 million hl, that’s the equivalent of 533 million bottles. Many reports will mention hail as a reason for the lower crop in 2013. This is partly true but the hailstorms caused heavy losses mainly in the Entre Deux Mers, the source of much AC Bordeaux and Bordeaux Supérieur. Of the best known appellations, only St-Emilion was touched on the south-east fringe and not one of Bordeaux’s leading châteaux was hit. Rainfall during the winter was slightly over the 30-year average in most sectors, and the most we’ve had in the last ten winters. We also had more days when it rained – about 100 depending on the area, compared to an average of 69 days. December and January were the wettest months. Monthly temperatures were close to the 30-year average until February, which was 2°C below average (5.7˚C v 7.7˚C), and March, 1.5°C below (8.6˚C v 10.1˚C). After a cold February and March, April saw fluctuating temperatures. Bud-break was a bit later than usual and morning frosts at the end of the month were a threat. The rainfall measured here, some 15 miles SE of the city of Bordeaux, and at nearby St-Emilion, was lower than in other parts of Bordeaux: there was 60-70mm in the Medoc. But thankfully no repeat of the heavy April downpours of 2012 (160-200mm). After a promising start, May was fearfully chilly and wet, and the vines never got going. The temperature of the subsoils stayed lower than in previous vintages in the second half of the month, and this was reflected in the retarded height of the vine canopy everywhere. 2008 347˚, 2009 326˚, 2010 325˚, 2011 492˚, 2012 331˚, 2013 212˚. Given the correlation between temperature and flowering, and that mid-flowering occurred around 8-10 June for the 2008, 2009, 2010 and 2012 vintages (20 May for 2011), it’s easy to see why the flowering in 2013 was going to be much, much later. A good first week then heavy rain on 8 June. Then, just as the vines came into flower, we had much more rain than usual and at the wrong moment for the floraison, which was already late. It seemed that the vines were splitting their energies between further growth and flowering at the same time – in the rain – so poor fruit set on the Merlot was inevitable. 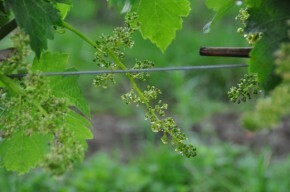 The results are mixed though – some vines are badly effected, whereas a few paces along, the flowering was more successful. Visitors to Vinexpo might recall a baking Sunday and then a filthy Monday night and Tuesday. The flowering vines were similarly confused. July was a complete contrast to the months before, with 21 scorching days over 30°C. 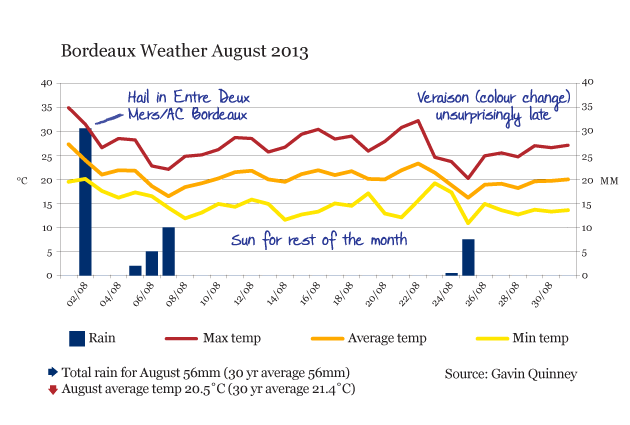 The first half and middle of July is rarely so consistently hot in Bordeaux. The sun was most welcome to holidaymakers and wine tourists who, based on this evidence, think that growing grapes must be a doddle. Most of the rain for the month came with heavy storms on the night of Friday 25 July. (See Lafite’s weeping willows.) Worse was to fall on Genissac, south of Libourne, with the first of the summer’s hail. A terrible start to the month for some, with a devastating storm on the evening of Friday 2 August. 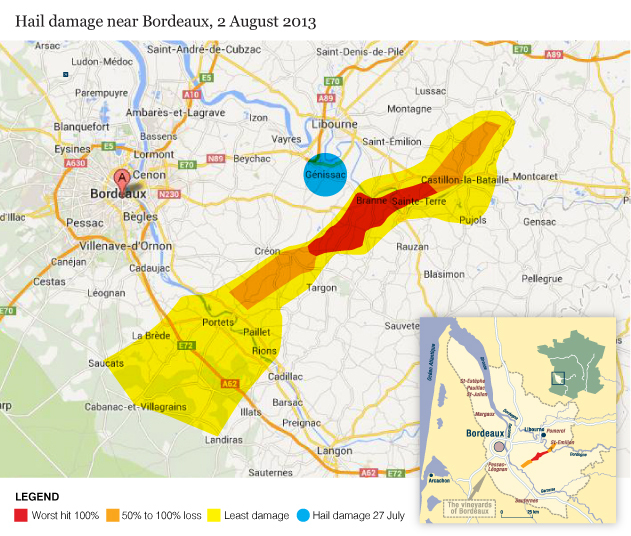 Hail tore through about 10,000 hectares of vines, mainly in the Entre Deux Mers – see the map above. See also Hail in Bordeaux, part 1 and part 2. Fine weather set in after the first week. Veraison was very late, although this wasn’t surprising given how retarded the floraison had been. It was the first vintage I’d seen where no grapes had changed colour by the start of August in the early -ripening vineyards of Pomerol. 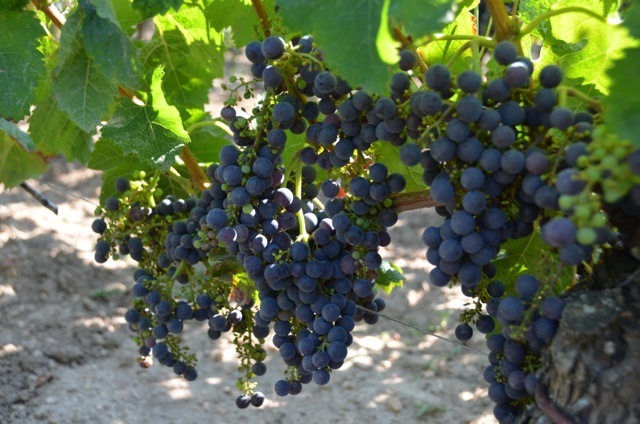 First signs of veraison in the Medoc and in St-Emilion were to be seen in the middle of the month. That’s late. The grapes are still changing colour in some vineyards at the start. A bright start to the month, then cool and drizzle. The third week has seen welcome sunshine, reviving hopes. At the mid-point, the vineyards are looking green and healthy. Ready for the long wait ahead? They start picking the dry whites in Pessac-Léognan in the sunshine, and even the first pass for Sauternes at Yquem. Bon courage à tous. We’re going to need it. Feel free to leave a comment or ask a question, and do share on Twitter or Facebook.